Flat For Sale in London for Asking Price £365,000. 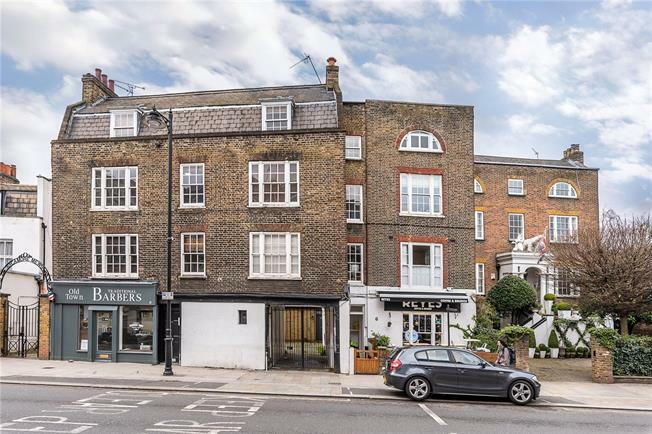 A rare opportunity to purchase an immaculately presented, first floor studio apartment with a mezzanine bedroom in this beautiful Grade II listed, gated Georgian building located in Clapham Old Town. The bright and well-proportioned accommodation comprises briefly: entrance hall opening up to an impressive reception room with high ceiling, built-in cupboard, large floor-to-ceiling sash window to the front with original shutters and stairs going up to the bedroom mezzanine floor level above. From the entrance hall, doors open to a separate modern kitchen and well-appointed bathroom. Located in the heart of Clapham Old Town, the property is excellently positioned close to the open expanses of Clapham Common with its wonderful recreational facilities. Clapham Old Town offers various boutiques, bars, restaurants, cinema, supermarket and gym. Clapham Common is the nearest underground station and there are numerous bus stops running east and west and into Central London.